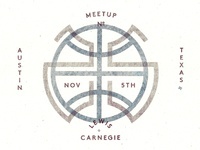 Dribbble Meetups are a chance for designers to socialize, talk shop, and foster their local design communities. They are self-organized events that range from the casual, five-person, coffee-shop roundtable to the chef-catered, bar-tended, 200-person extravaganza—it’s up to you. 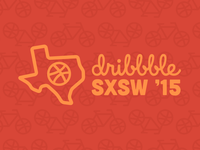 Thousands of designers worldwide attend Dribbble Meetups each year. Dribbble Meetups are fun! Getting designers together is a guaranteed good time. You’ll be able to mingle and meet other designers in your area. Get free design swag! In addition to our meetup kits that include Dribbble stickers, buttons, pencils, and swag from our Global Meetup Sponsors, some organizers create their own branded swag. Several Dribbble Meetups have included a live screen printing session. You can also participate in competitions like an Analog Playoff—think of a Dribbble Playoff in real life. 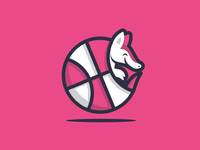 You may even take home the prize: A genuine, solid metal, All Star Dribbble pin. Please be sure to read and understand our Terms & Conditions for Attendees. Dribbble Meetups come in all sizes and varieties. 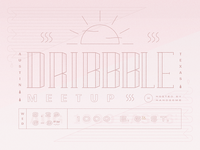 A small grassroots Dribbble Meetup can help build the design community in your area. By hosting a small meetup, you can get to know other designers, talk shop, share resources, or even find a mentor or mentee. 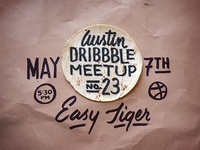 Many of our Dribbble Teams host Dribbble Meetups regularly. In addition to building community and gaining valuable face time, hosting a Dribbble Meetup at your office is a great way for local designers to learn about your company and what you do. Getting designers together in your area can also be a great way to find and hire new talent.